The 19th annual Sidewalk Film Festival kicked off last night in Birmingham, Alabama. It's an annual celebration of independent cinema, and we have an exclusive clip from an upcoming screening that provides an example of that spirit. 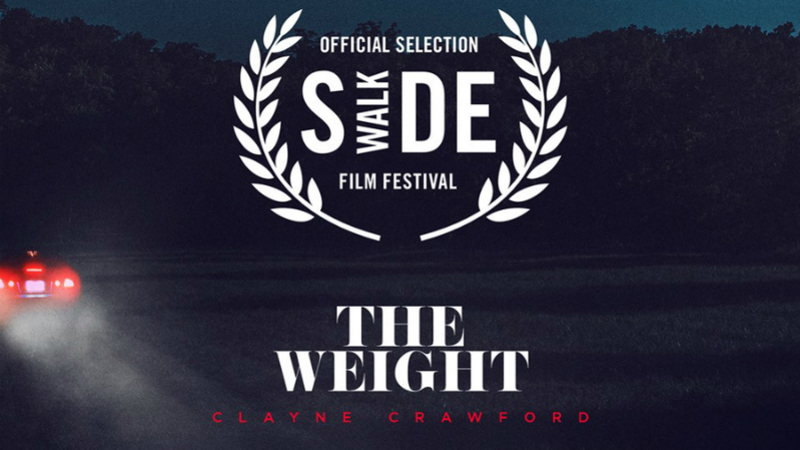 The Weight will enjoy its world premiere on Saturday, August 26 at 9:50 p.m. at ASFA: Dorothy Jemison Day. What's it about? "A divorcee's love for her missing ex-husband pulls her into a small town crime ring when the sheriff refuses to search for him," according to the official verbiage. The film is loosely based on life events of director/producer Thomas Rennier. Clayne Crawford (TV's Lethal Weapon), M.J. Brackin and Heather Roop star. We have a small, noir-ish taste of what's to come in our exclusive clip, which is certainly intriguing, as it demonstrates one man struggling with his conscience -- for very good reason. Watch it below.